The Harpenden Society had its annual summer social event at Rothamsted this year. 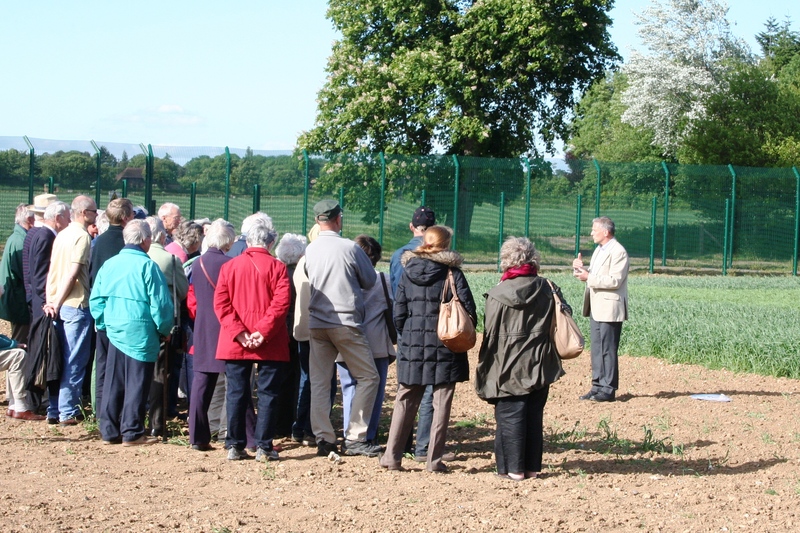 Around 50 society members met at Rothamsted Manor and were initially shown the Park Grass and the genetically modified (GM) wheat experiments being carried out by Rothamsted Research. The organisation is justifiably proud of the Park Grass Experiment which started in 1856 and has been continuously monitored ever since - it is the oldest such experiment in the world and is featured in Guinness World Records. The wheat GM experiment is to test whether wheat, genetically engineered to repel aphid attack, can work in the field. The wheat generates an odour as produced in nature by aphid predators which humans cannot detect but which is repellant to aphids. If successful the wheat will not have to be sprayed with harmful pesticides to kill aphids. The group negotiated the impressive security of high fences and guard dogs and were allowed into the field. Members returned to Rothamsted Manor for some refreshments and were then given a fascinating historical tour of the interior and exterior of the Manor. The building days back to the 16th century.